« Luigi’s Flying Tires Closing at Disney California Adventure! Star Wars on Disney Cruise Line? It didn’t take a Jedi Master to foresee this coming! In 2016, Disney Cruise Line Guests can celebrate the legendary adventures and iconic characters from the Star Wars saga during a brand-new, day-long celebration aboard eight special sailings on the Disney Fantasy: Star Wars Day at Sea. Occurring one day during each of eight Disney Fantasy sailings, Star Wars Day at Sea will transport you to a galaxy far, far away – in the Western Caribbean. The event will feature a full day of Star Wars celebrations, including a deck party, meet-and-greets with favorite characters, Star Wars-themed youth activities, unique food and beverage offerings and special merchandise. Can you expect to find R2-D2 serving drinks or meet Princess Leia in her metal bikini? I do not know. Also featured will be exclusive at-sea screenings of the Star Wars films and the new Disney XD animated series, Star Wars Rebels. No word yet on whether the exclusive at-sea screenings will be of the original versions or the “Special Edition” versions. Star Wars fans can only hope and pray that they’ll be able to see Han shoot first again on the big screen. 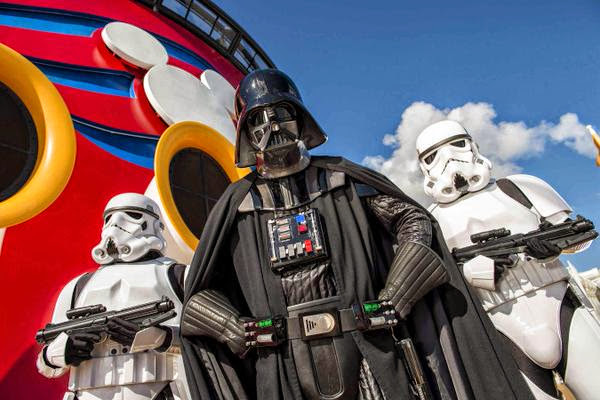 Star Wars Day at Sea will be on Disney Fantasy cruises sailing on Jan. 9, 23; Feb. 6, 20; March 5, 19; April 2 and 16, 2016. Departing from Port Canaveral, the seven-night Western Caribbean itinerary includes stops at Cozumel, Mexico; Grand Cayman, Cayman Islands and Disney’s Castaway Cay. Let the Force flow through you on the Disney Fantasy! 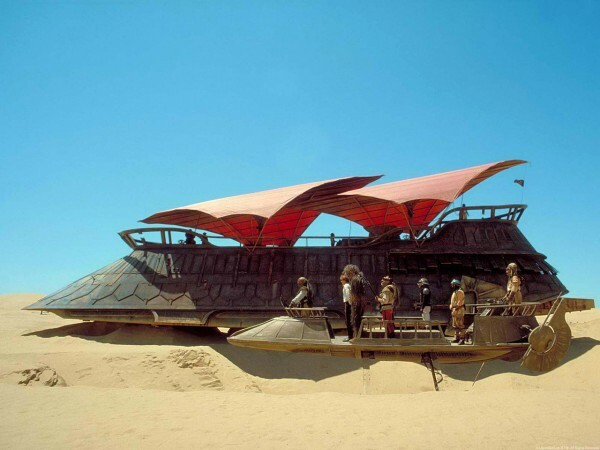 Jabba’s Sail Barge is an alternate option for travelers who prefer sailing over the desert. This entry was posted on February 11, 2015 at 6:57 pm and is filed under Disney Cruise, Disney News, Disney Vacation Planning, Travel. You can follow any responses to this entry through the RSS 2.0 feed. You can leave a response or trackback from your own site.